Pop ups can be loosely defined as the boxes that appear after you have spent a few minutes reading a write up on a website. Call them Opt-in popups or even modals, pop ups are not by themselves a clever marketing strategy, but more like marketing tricks! They may work for sometime but over the course of time, they are really bad for your brand, your name and even your product. Here’s the main reasons as to why you don’t need pop ups on your website. Let’s face it, you’re reading an informative post trying to get all the juicy stuff in when a pop up appears in front of you..BAM! When this happens, instead of rewarding that site with my email address (as prompted by the pop-up), what I do is that I quickly close the tab and go somewhere else on the net. Granting it’s a marketing trick still it’s a bad one. The Nielsen Group recently posted a write up about a survey they conducted on which is the most hated form of on line marketing technique, the verdict? Pop up tops the list. 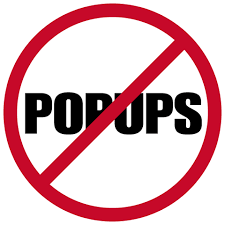 As smartphones become our daily companion, we get dissatisfied and frustrated with pop-ups. Since the screen of these handheld devices are smaller, the pop-ups are more intrusive and harder to get rid of. Here’s a pop up on a mobile phone’s screen. The advertisement occupies the whole screen, effectively blocking the info that I’m after. And if I can’t get the info that I’m after, then I have to look elsewhere. 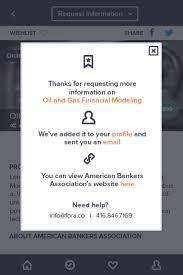 A pop-up act as a barrier making the loading of certain mobile website longer. It’s better if you can put must-read insights that will convince your readers to sign up for more. If what you give has great value, then people will find a way to stay connected. You must be asking since pop ups are bad, what can we use instead? There is a lot of options out there and hopefully will get those out in the open as we roll along, but one alternative that stands out, at least for me right now is the HELLO BAR. Will discuss that on the next article! Join me as we make money on line easily! You can make money now via blogging! You are free to share this write up or any of the past write ups in this site. You can also hit the like icon. Like my Facebook fan page as well! Til next! This entry was posted in online marketing tips and tagged blogging, business opportunity, make money online, marketing strategy, online marketing ideas, online marketing tips, pop ups, work from home on August 19, 2015 by Steve Mack. Hi Gumilar. Thanks for the feedback. Yes, I do focus on what works best, but I also try to address common mistakes as well. Speaking of which, and to expand a little bit on how bothersome these types of ads have become to consumers around the world, just in the last year alone the number of consumers using pop-up ad-blocking software has soared to 198 million users, which is an increase of 41% in just one year! 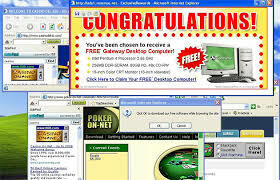 In the United States the percentage increase of those using pop-up blockers is even higher, at just over 48%. These stats provided by PageFair, an Irish company whose main job is to help companies get around pop-up ad blockers. So the obvious point I want to make to my readers here is that while pop-up ads have been successful in the past for some companies, there is a clear message from the consumer that needs to be heeded: they are tired of pop-up ads and are now actively trying to defend against them. So even IF an online marketer were successful in getting around a consumer’s ad-blocking defenses, the consumer is likely to be upset and not very receptive to whatever it is the online marketer is promoting.